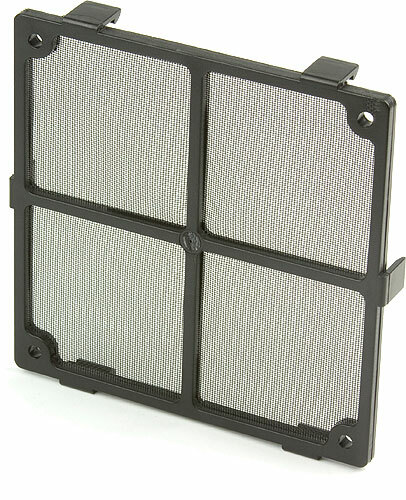 Very handy 120mm fan filter to prevent dust from entering the PC chassis, prolonging the life of installed components. The new Scythe fan filter attachment is a great dust filter for any 120 mm fan. The dust filter prevents dust being blown into the case. It also helps to concentrate the airflow making the fan more efficient at cooling. The dust filter can attach to most 120mm fans either by clips or by the supplied screws.